On this week’s episode of The Innovation Engine podcast, we’re branching out a little to get lost in space. Among the topics we discuss are whether the next generation of innovation in space lies in private industry or government, what the future of manned space travel looks like, and why the next generation of innovation on earth will rely on satellites and other devices that are launched into space. Andrea Bennetti and Mike Bearman of Sapienza Consulting join us on this week’s episode. 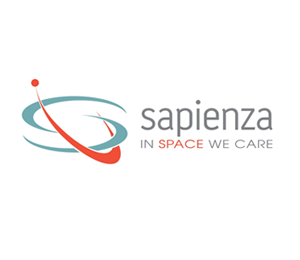 Sapienza Consulting is a leading provider of space missions and project support through people, software, and services. The company has been a supplier to the European Space Agency since 1994. Mike Bearman is the Managing Director and Founder of Sapienza Consulting. His background in project management led him to found Sapienza, which specializes in Internet-based project management solutions for space agencies. Andrea Bennetti is the Commercial Director at Sapienza, where he is responsible for the company’s commercial strategies and activities for mission-critical applications. He leads the company’s Innovation and New Product Development strategies and oversees Marketing and Sales across all business streams. You can also download and subscribe to The Innovation Engine on iTunes or tune in via the podcast’s home on Stitcher Radio or SoundCloud to listen online, via Android or iOS, or on any device supporting a mobile browser.